ISIS Europe attended the Cyprus EU Presidency Seminar organised by the 2012 Cyprus Presidency, in partnership with the Egmont Royal Institute for International Relations and the European Defence Agency on: «Innovative European Defence Cooperation – Pooling and Consolidating Demand». The event was opened and introduced by Sven Biscop, Director of the European in the World Programme at Egmont, Ambassador Dominique Struye, Diplomatic Advisor to the Minister of Defence of Belgium, Demetris Eliades, Minister of Defence of the Republic of Cyprus, and Claude-France Arnould, Chief Executive of the European Defence Agency (EDA). 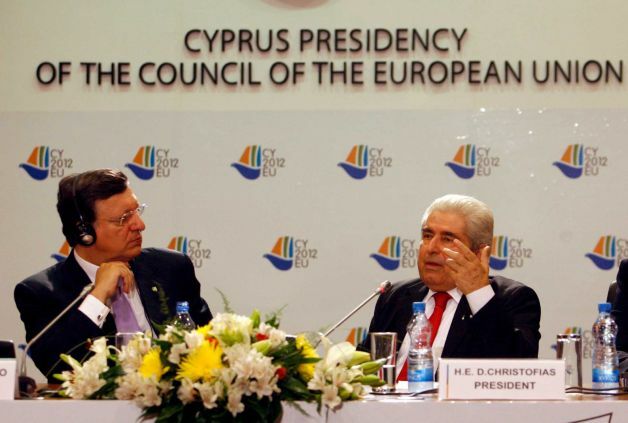 This entry was posted on 27/09/2012 by ISIS Europe in Conferences and tagged Cyprus EU Presidency, EDA, EU Institutional Reform & Oversight, EU Mutual Defence, Research and Innovation.